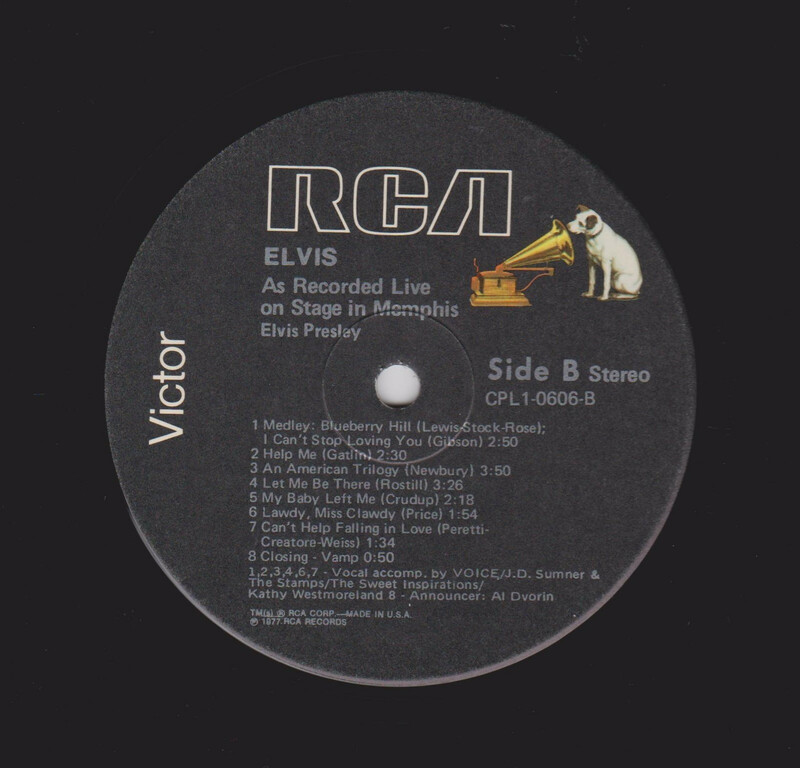 Recorded Live on Stage in Memphis is an album of recordings by Elvis Presley released by RCA Records in July 1974 and recorded on March 20 of the same year, in front of a live audience at the Midsouth Coliseum in Memphis, Tennessee, Presley's hometown. 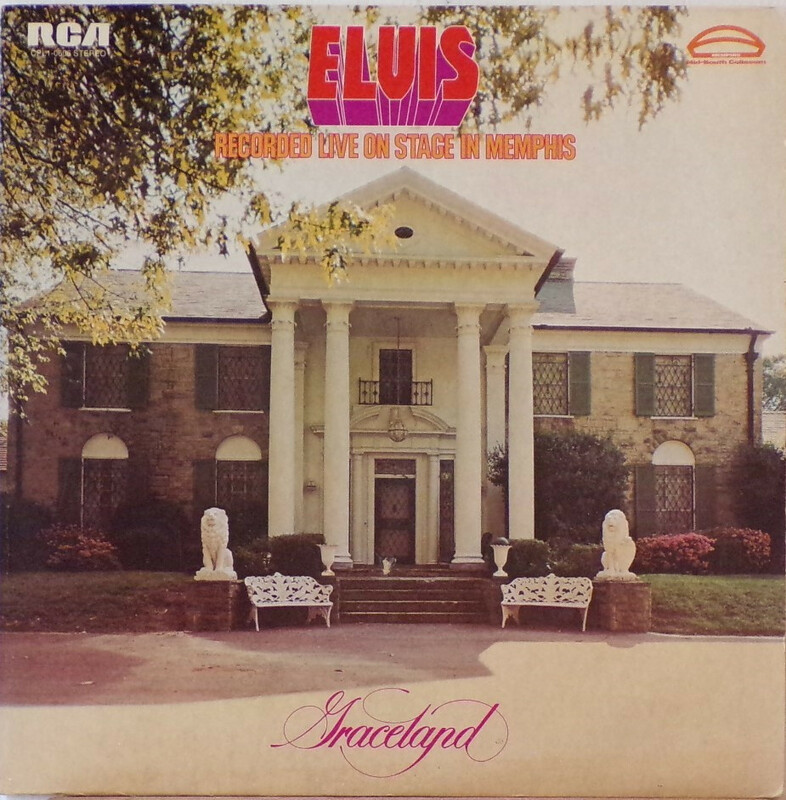 His home, Graceland, is pictured on the cover. The album was recorded the same day the King's Good Times album was released. This was Presley's fifth live album in less than five years (and the last to be released in his lifetime). He earned his third Grammy Award for the performance of "How Great Thou Art" included on this album. The album peaked on the chart in August 1974. It was certified gold on July 15, 1999 by the RIAA. Although the album was not a major success, it did produce Presley's third and final Grammy award winner, "How Great Thou Art", which won for best inspirational performance (www.grammy.org). Two other gospel songs, "Why Me Lord" and "Help Me" (which was released as a single from the Promised Land album), are given an inspired performance. Another highlight is a strong version of the Sun years classic Eagles cover "Trying to Get to You", a favorite live choice for him, which shows that he still had the power to belt it out when he wanted to. 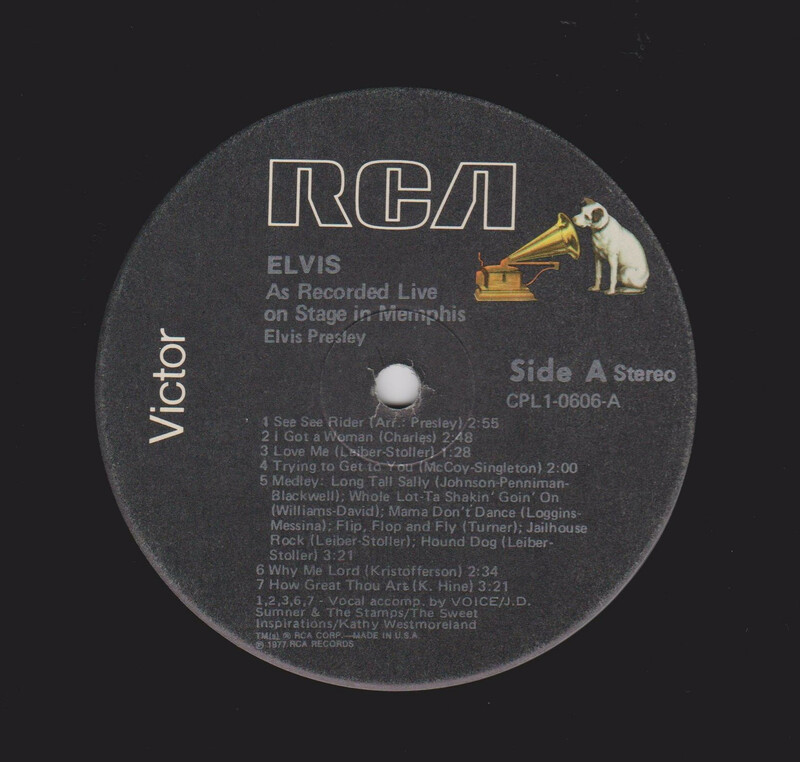 The live recording of "Let Me Be There" on this album was later used as filler on Presley's final studio album, Moody Blue. It was also issued as a promotional-only 45 RPM disc in 1974, with the same song on both sides (mono and stereo). It is one of few Presley albums released during his lifetime where his face is not pictured on the cover. The album also managed to reach #1 on the Country charts and the top 40 of the Hot 100, and was his last to reach the top 40 until Moody Blue in 1977. In 2004, FTD Records re-released this album containing the entire concert. 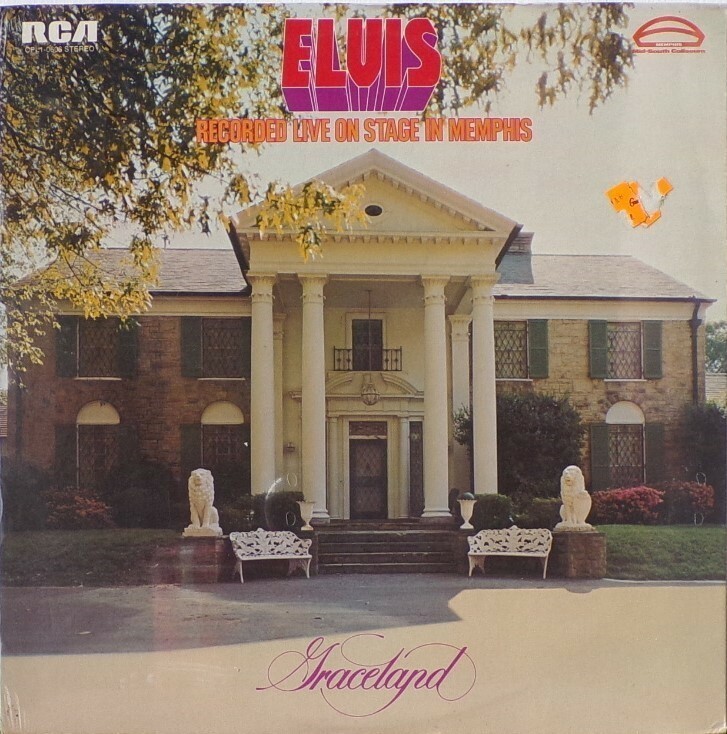 Front Cover : Photo of Graceland. Title top centre. Catalogue number top left. 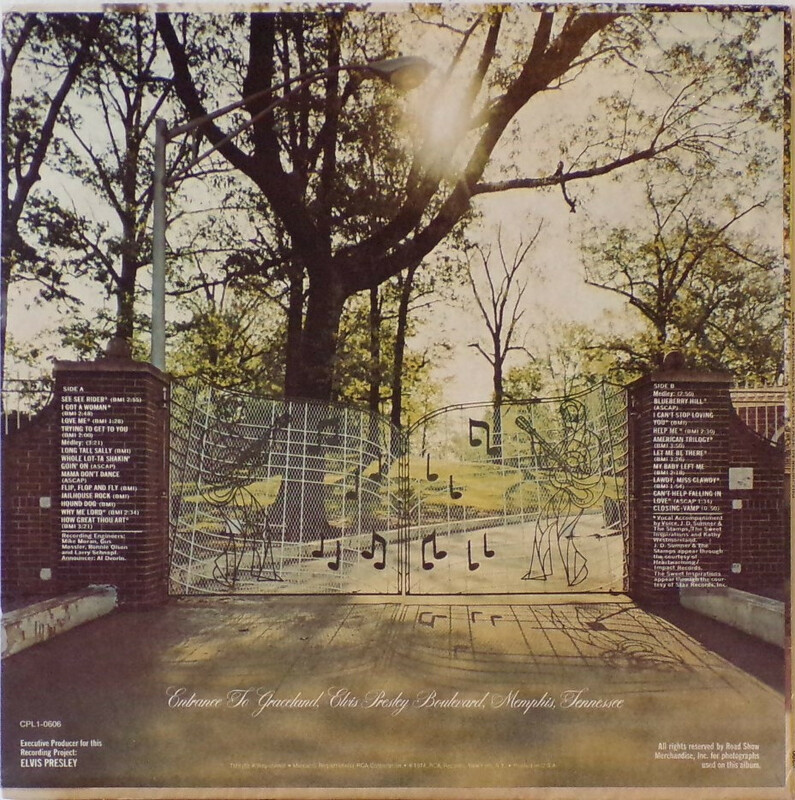 ​​Rear Cover : The gates into Graceland. Catalogue number bottom left. Printed in U.S.A. bottom. ​*NOTE* This copy is sealed. 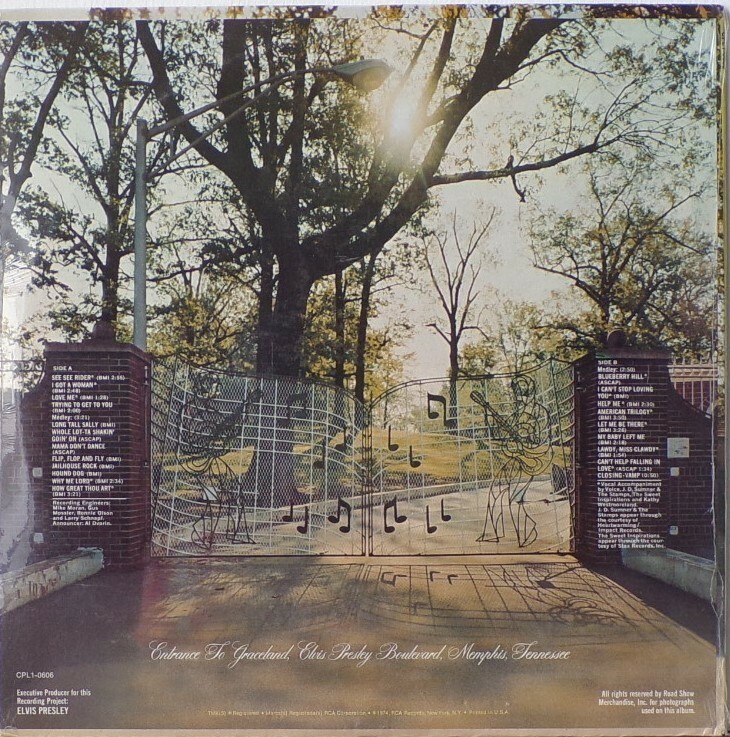 Rear Cover : The gates into Graceland. Catalogue number bottom left. Printed in U.S.A. bottom. Side A : RCA logo top. Side B : RCA logo top. *NOTE* 1977 black label issue.